Whether it is the smell of bacon and manure, the big extensive cornfields, the big organ in almost every church, the style of worship, or the language, many Dordt students whose homes are hundreds of miles away from Sioux Center are prone to suffer a cultura l shock. 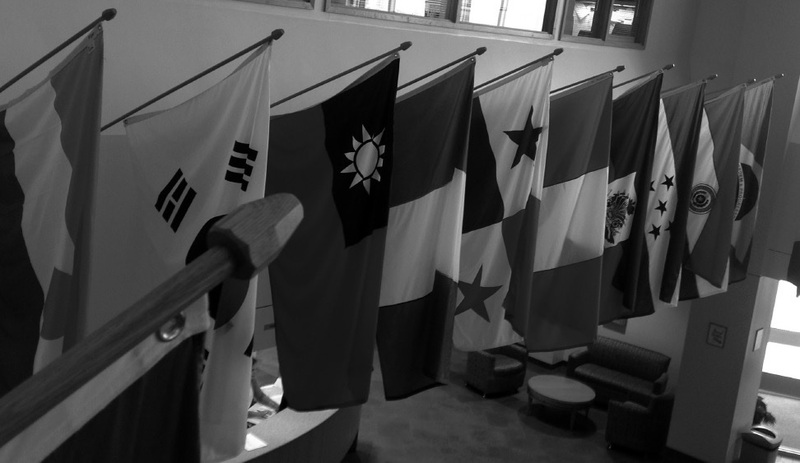 This school year, Dordt College welcomed a variety of students coming from countries like South Korea, Indonesia, Mexico, the Netherlands, Brazil, Rwanda, and the Philippines. The first days of college in a new country might be overwhelming for a many students. The cultural differences became evident quickly, and for some students were shocking and frustrating. According to the Centre for Humanitarian Psychology (CHP) in Geneve, Switzerland, cultural shock is the moment when individuals living in a culture different from theirs start to notice the meaningful differences between their culture and the one they are living in. CHP mentions that some of the common reactions to cultural shock include confusion, depression, difficulty to adapt socially, and feeling isolated or frustrated. Although culture shock varies from person to person, students who come from overseas are the most susceptible to suffer from it. For many international students, this is their first time traveling abroad by themselves, speaking a language that is not native to them, or eating foods they have never tasted before. Dr. Curtis Taylor, dean for global education at Dordt College, points out that some social values or characteristics of American culture can create conflicts with students from abroad. For example, students that come from a more collective society find it hard to adjust to the social value of independence and individualism of the United States. CHP mentions that coming to a different country might be difficult because the shock can interfere with the students’ emotional and rational processes: it can make the students feel disoriented, alone, or angry. Despite the initial difficulty of adaptation to a new culture, CHP mentions that there will be a period of adjustment in which the individuals living abroad psychologically accept and adapt to the new environment. It could take several months for this stage to start, but with the support from family, friends, and the new relationships in the new country, the stress decreases. Despite the fact that cultural shocks are difficult at first, the experiences can lead students to know more about a different culture, about other people, and about themselves. Although living in a diverse world might be challenging at first, in some ways it reminds us about how in God, we are all equal.